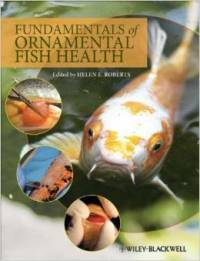 Fundamentals of Ornamental Fish Health can assist professionals working with fish by offering the information needed to care for patients that have nonlethal conditions. From transportation to research methods and from diagnostic techniques to medication: it includes everything necessary to recognise and treat various conditions and diseases. Beyond fish diseases, the authors also address prevention, including what to do for the environment in and around the aquarium to keep fish healthy. The book is illustrated with photographs.